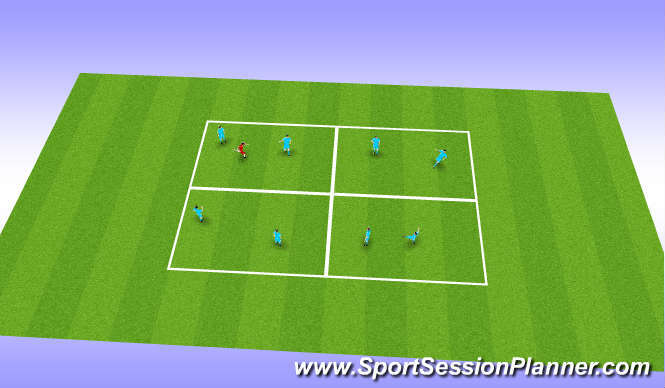 Keep ball 2v1 both players must touch and pass into any square. Chase untill you win it player who loses it chases. Each player numbered 1-9 pass in sequence pass and move move into different box always 2 in box. 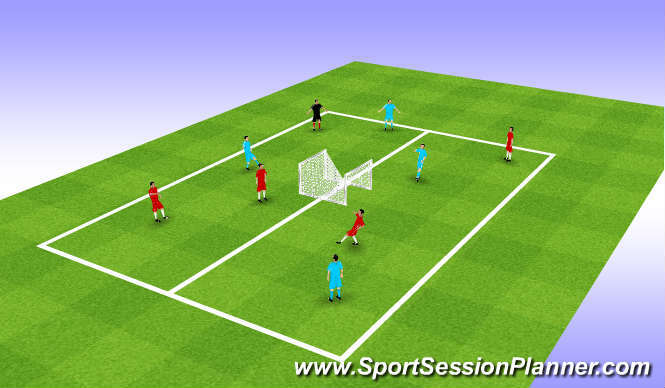 Back to back goals 3v2 keep ball, pass to opposite section if player who recives can score first touch. If not keep ball untill it can be trasfered back. Passing, short & long. Reciving, inside outside on. dribbling when? Speed endurance. Anerobic, agility, strength, holding off. Communication awareness off others. Unselfish running. Will to win? First two parts were to a good standard, passing was a bit untidy at first but once they understood it brakes down if passing & communication is weak.it picked up. third session was good but once players tired they found it hard to keep good possession as player recieving stopped making space by moving the defender (create space).